Stress, also known as slow poison, is a very common ailment these days. Even the early school-going kids usually use this term so frequently, as they get to hear the same from their parents often. Directly or indirectly, it affects the life of every individual. It actually makes your life tough and irritating. Though there are various ways of handling stress like talking and sharing about problems with friends, doing meditation or reading books, listening to music, you may find even Yoga to be highly beneficial in reducing stress. Yoga plays an important role in beating stress and to reduce it. All you need is just half an hour, preferably in the morning and you need to be optimistic as well while performing these yoga asanas. If Yoga is what you practice each morning, you'd be surprised at the results it will provide you with. So, following are some of the yoga poses that will help reduce stress. 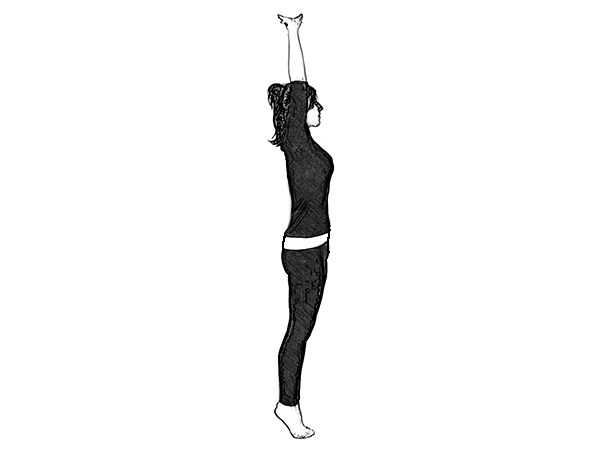 Step 1: Stand straight with your feet together and spine also erect, keeping your hands by your thighs. Step 2: Now, lift your hands up and join your palms. Stretch yourself as much as you can. Step 3: Then, tilt your head backwards and look at your fingertips. Count till 10 and be in the pose. Step 4: Inhale and exhale gradually and get back to the normal position. Step 1: Stand on all your four limbs, your body must form a table posture. Step 2: Now, just straighten your knees and elbows and while exhaling, lift your hips. Your body is now in an inverted 'V'. Step 3: The, stretch your neck and press your hands into the ground. Just gaze at your navel and let your ears touch your inner arms. Step 4: Maintain this position for a minute or so, and then return back to the normal position. Step 1: Lie down straight on the mat in a relaxing position and keep your feet a bit apart from each other, along with your arms sidewards and palms facing the ceiling with your eyes closed. Step 2: Inhale and exhale in a rhythm and concentrate on your breathing. Step 3: To get back to the position, slowly move your toes and fingers and open your eyes. Step 1: Sit normally and then stretch your legs slowly backwards, by pushing your torso away from the thighs. Step 2: Stretch your feet as wide as your shoulder-width and your hands crossed beneath your head and let your forehead rest on your crossed forearms. Step 3: Close your eyes and relax. Step 1: Just kneel down on your mat and keep your hands on your hips. Step 2: Just ensure your knees and shoulder to be in the same line, and your soles should face the ceiling. Step 3: By inhaling, draw your tailbone towards your pubis and now you must be feeling the pressure on your navel. 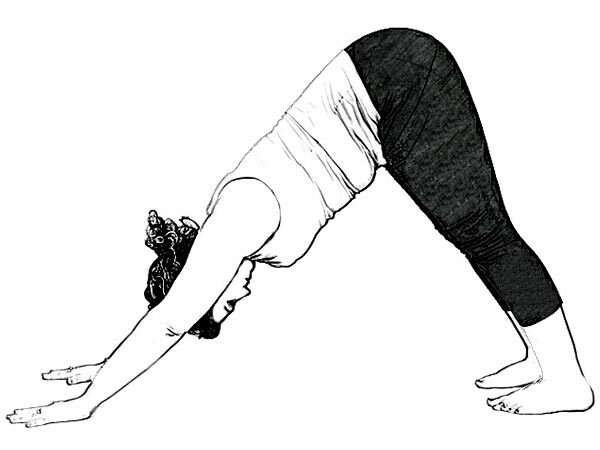 Step 4: Form an arch with your back and get your palms over your feet and straighten your arms. Step 5: Your neck should be relaxed and maintain this position for 60 seconds. You just need to relax your body and perform these yoga poses with ease and forget the tensions around you.